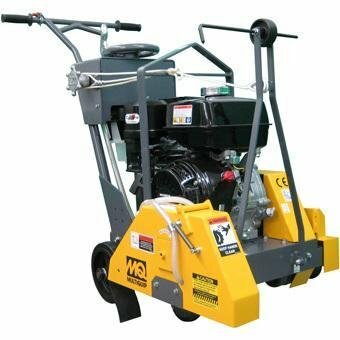 Walk Behind Concrete Saw, 18 In, 1.72 gal. Multiquip SP2S20H Saw Flat Self-Propelled, 20" Blade, Honda GX630 Gasoline Engine. Offers proven design and engineering to take on the toughest diamond sawing tasks. 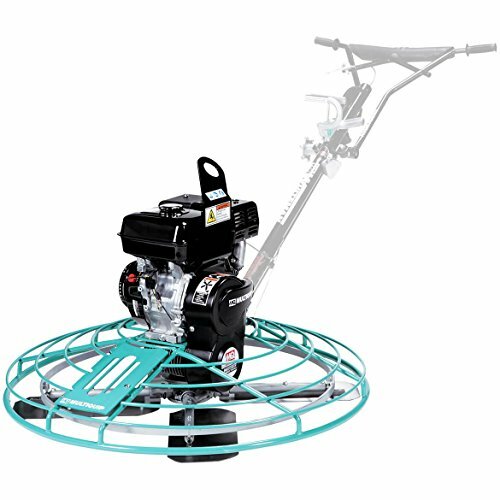 Features include adjustable handle bar, industrial blade shaft assembly, and built-in water tank. 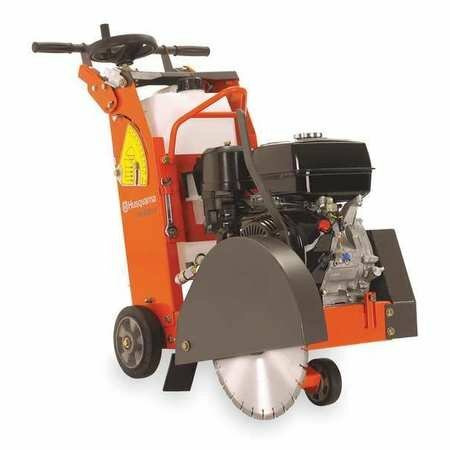 Multiquip SP118 Saw Flat Push, 18" Blade Guard, Honda GX390 Gasoline Engine. Highly durable and deliver trusted performance on the jobsite. Engineered for operators from DIY to professional, that demand quality, ease of operation, and accurate sawing. Multiquip B46H11H Walk Behind Trowel, 4-Blade, Honda GX340, 10.7 hp, 90-155 RPM, 46"
Multiquip B46H11H Walk Behind Trowel, 4-Blade, 46", 10.7 HP, Honda GX340, 90-155 RPM. 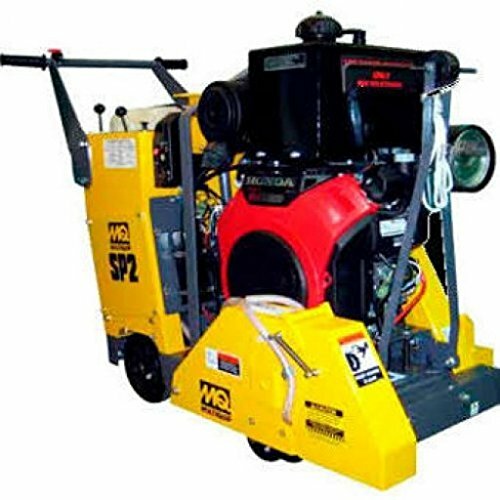 Features include front access panel that provides quick access to trowel arms and blades, center mount lifting bale, spider and thrust collar assembly design to simplify routine maintenance, and a gearbox that features top quality components and large oil capacity for years of trouble-free performance. 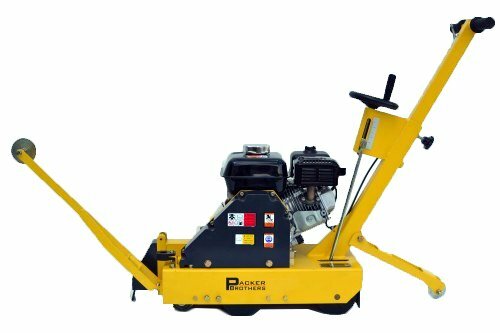 Packer Bros PB14H55 Walk Behind Concrete Saw, Honda Powered 5.5 hp OHV Motor, 14" Blade Size, Rugged Frame Support, 128 lb. Walk Behind Concrete Saw. Honda Powered 5.5hp OHV. High Quality Shaft Bearings. 14" Blade Size. 128 lbs Weight. Rugged Frame Support. Self Propelled Drive Wheel to help out pushing. Super rigid frame ensures straight cut and prolongs saw life. Easy crank for raising/lowering cutting depth, tie rod end style connection. Swivel front for easy blade replacement. Polyurethane wheels, high quality bearings. Low maintenance design. High quality products used throughout the machine. Less time and less costly to repair. Vacuum hook up. Center blade for accurate cutting. 5/8" arbor standard size. Heavy duty remote throttle. 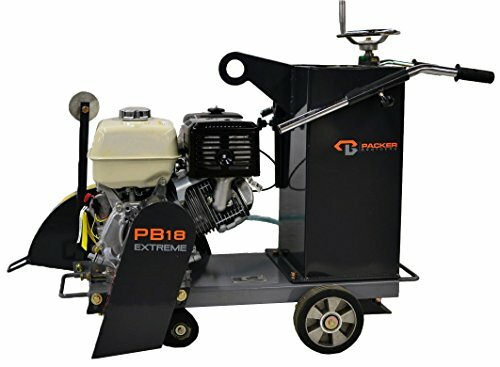 Packer Bros PB16AH13 Walk Behind Concrete Saw, 13 hp Honda GX390 Motor, 16" Blade Size, Quality Bearings, 250 lb. Walk Behind Concrete Saw. 13hp Honda GX390 Motor. Quality Bearings. Built Tough to Last. 16" Blade Size. 250 lbs. Cuts that concrete slab like butter. 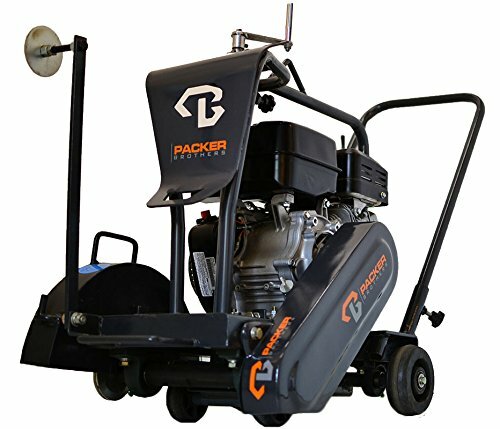 Packer Bros PB18H13 Extreme Walk Behind Concrete Saw, 13 hp Honda Gas Powered GX390 Motor, 18" Blade Size, 253 lb. Extreme Walk Behind Concrete Saw. 18" Blade Size. 13hp Honda Gas Powered GX390 Motor. Heavy Duty Bearings. 253 lbs Weight. Packer Bros PB18H13-CAGE Extreme Walk Behind Concrete Saw with Cage, 13 hp Honda Gas Powered GX390 Motor, 18" Blade Size, 253 lb. Extreme Walk Behind Concrete Saw. 18" Blade Size. 13hp Honda Gas Powered GX390 Motor. Heavy Duty Bearings. 253 lbs Weight. With Cage.